New England Nightscapes offers our clients the opportunity to further enhance your outdoor space with the addition of a high quality outdoor music system. 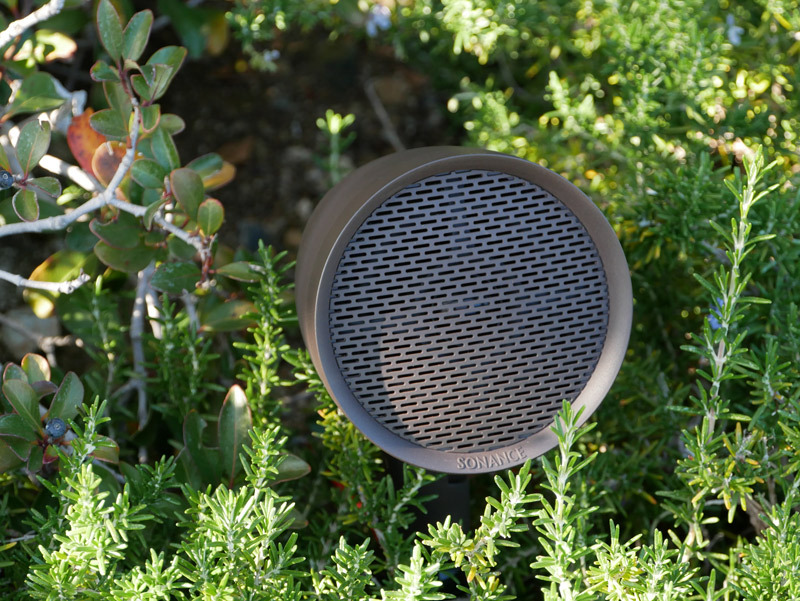 Inconspicuous speakers are placed around the property, blending well into the landscape, to generate a remarkably clear and evenly distributed sound so there is little need to rock the entire neighborhood to hear your favorite tunes. These systems can be especially useful in a tight neighborhood environment where you want to be conscientious about noise pollution disturbing your neighbors. To begin the estimate process click below. Complete outdoor landscape system with flexibility for configurations of eight Satellite speakers and one Subwoofer up to sixteen Satellite speakers and two Subwoofers on a single amplifier. Perfectly even coverage and high quality sound in areas of 2500 sq.ft (232 sq.m) up to 5000 sq. ft (464 sq. m). Satellite speakers designed to hide within the landscape.